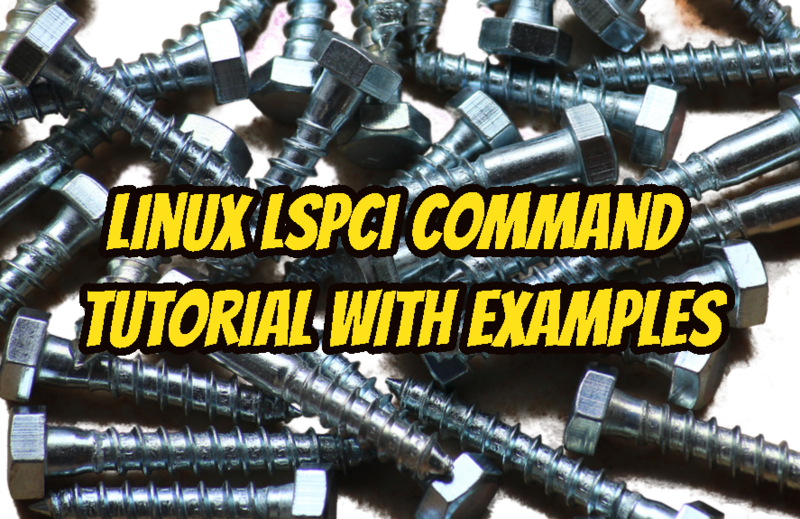 Linux provides lspci command in order to list PCI bus and devices information. This command will provide brief or detailed information about currently connected PCI devices like GPU, USB Card etc. 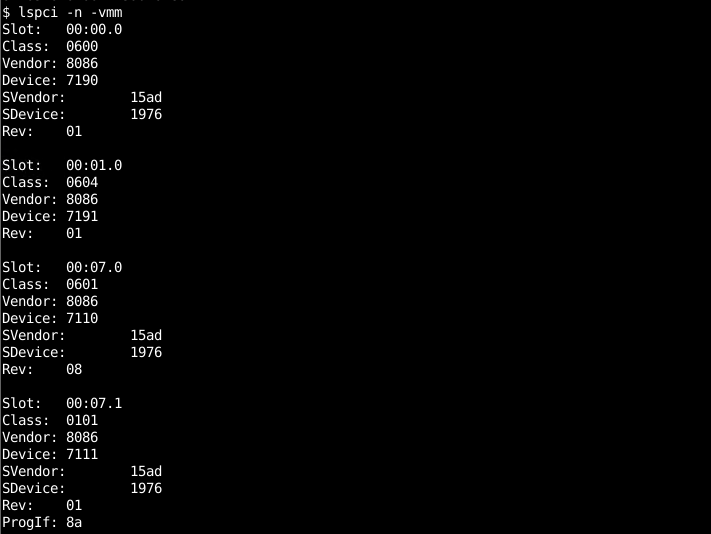 We can install lspci tool with the following command to the deb based distributions. In yum or dnf based distributions we can use the following command which will install the package named pciutils. We will start with the simplest form where we will do not provide any option to this command. This will print PCI Address or slot information with the device type and vendor information. Most of the computers have a few PCI interfaces. This may list a lot of information which will jam the output. Or we may be interested in the specific PCI slot of address. In this example, we will print information about PCI slot number 00:10.0 which is SCSI device controller. The default printing format is human-readable format. This means PCI address or slot, vendor and product information is printed in a space delimited format. Machine-readable format is a double quote separated format which can be parsed easily. 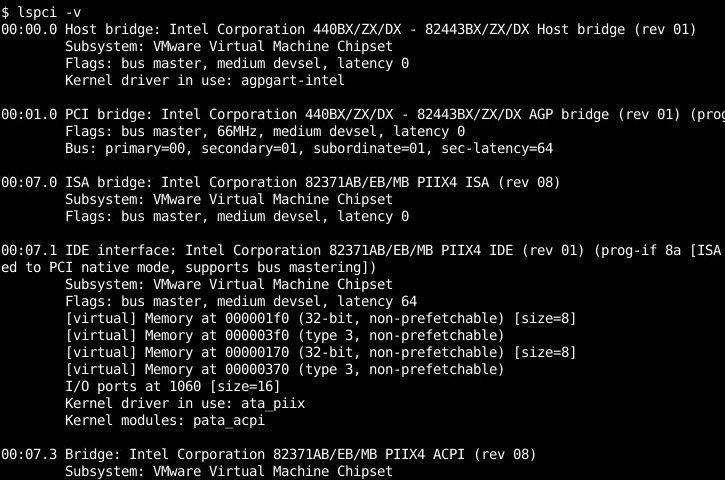 PCI bus provides a lot of information about the PCI connection and the devices. By default, this information is not printed completely. We can print detailed information about this PCI connection and device with the verbose -v option like below. 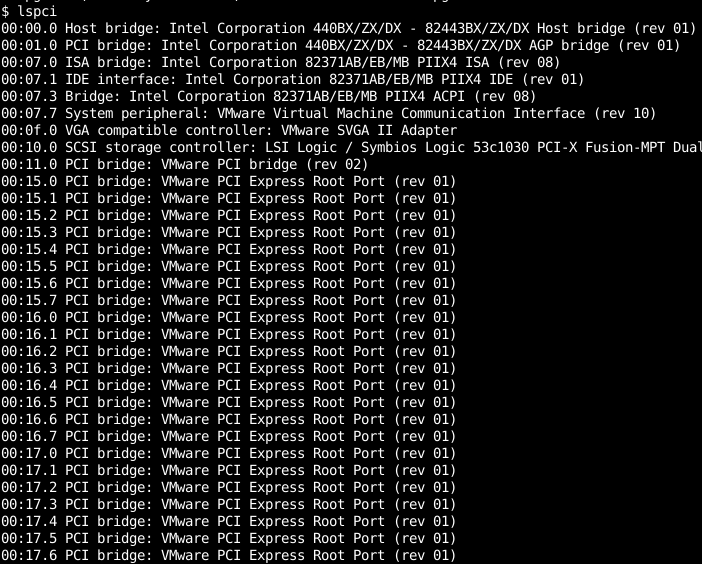 We can see that for every PCI device information like Subsystem, Flag, Memory Location or Address, Kernel Driver In Use, Kernel Modules, I/O ports etc. We can also print PCI Slot and Devices information in tag:value format. This will make the information readable like JSON format. We will use -vmms option like below. Every computer hardware manufacturer has its own vendor and device code or ID. We can print device vendor, class, svendor,sdevice ID with the -n option like below. As very PCI device have its kernel module and driver to be used by the Linux operating system. We can list all kernel and drivers with the -k option like below. We can see that the following information is provided by -k.
Up to now, we have listed PCI Devices in a line by line or regular format. We can also list the output of the lspci in a tree format with a hierarchical manner. We will use -t option like below. 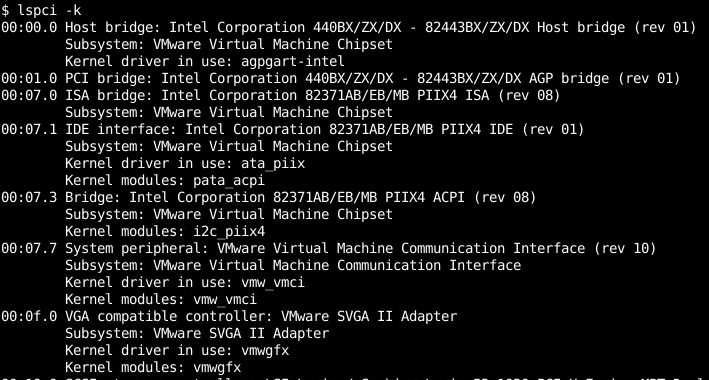 We can see that some devices are listed under VMware USB controller. We have already printed detailed or verbose information about the PCI slots. We will use multiple -v option -vv or -vvv . More v means more verbose or detail.